Got up this morning with a long to do list because I wasn’t shooting. I took a quick peek at my Instagram feed and saw that my buddy Pete McCoubrey posted a pic of a map that showed the space shuttle Enterprise’s flight path over NYC today. I had no idea this was happening and saw on the map that it was going to do a u-turn over my town in 30 minutes! 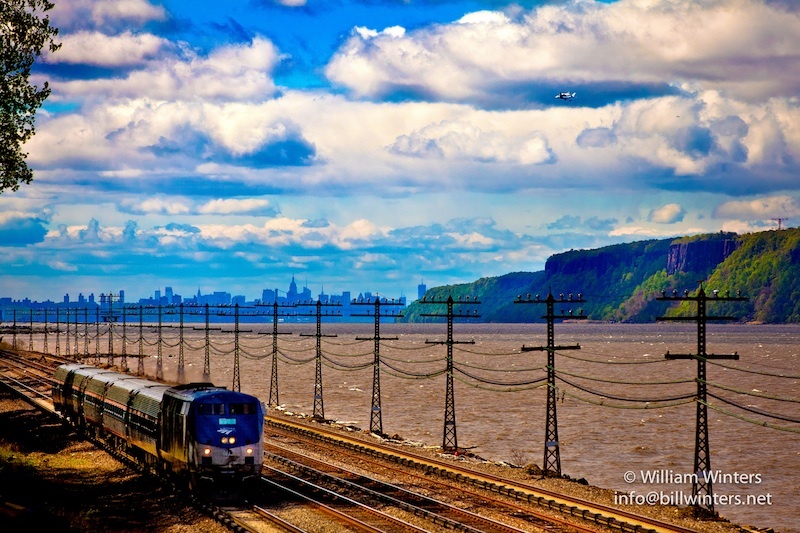 I quickly fed my cats, grabbed my camera and went to the closest access point to the Hudson River from my house. I got there just in time and so did the Amtrak train. Woot! I love the space shuttle and one of the coolest things I have ever seen was a shuttle launch on my honeymoon. It was quite an experience to see it fly over my town. I am looking forward to visiting it at the Intrepid after it makes its way there.